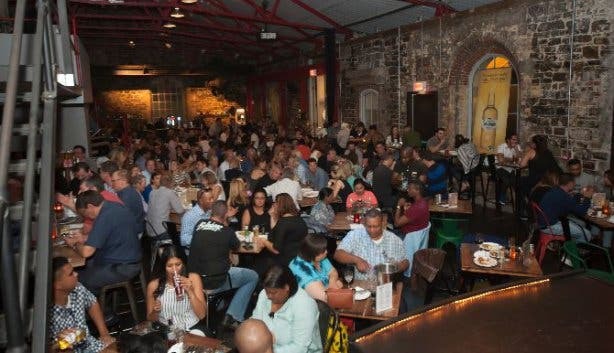 Tasty local food like the Jou Ma Se Burger, happy hour with R15 tequilas all night, a great atmosphere and Cape Town’s funniest comedians at the historic Pumphouse building. 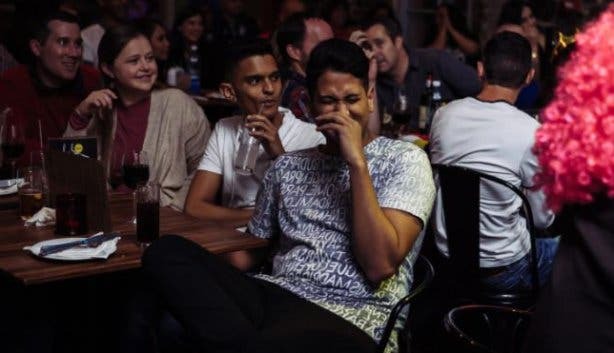 You’ll get more than just a fun Wednesday night out at the Waterfront’s lively Cape Town Comedy Club. Sounds like our kind of revolution. 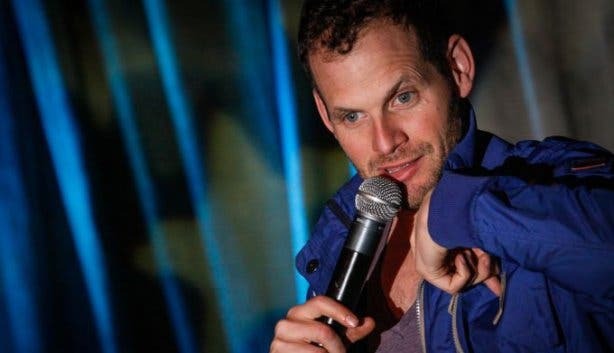 If you want to join Kurt on his early weekend crusade, then head over to the Mother City’s only dedicated stand-up club and laugh in the face of the five-day work week – it’s the best thing to do with your Wednesday night, guaranteed. With crowd-pulling headliners and big name guest stars like Marc Lottering, Rob van Vuuren and Stuart Taylor, showgoers won’t be disappointed with the high calibre of the stand-up. 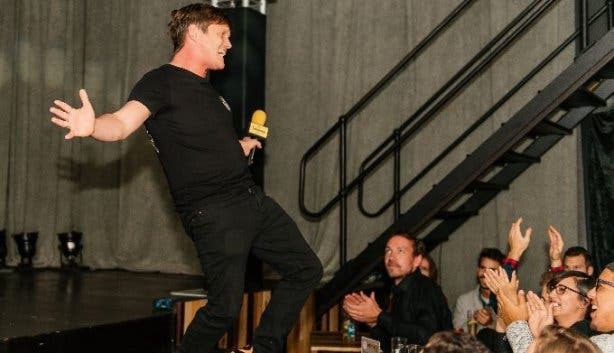 All of the best comedians in the country pass through Cape Town Comedy Club at some point, and many rising comedy stars had their start there – the club makes a point of nurturing newbie talent, and offers a platform to an up-and-coming generation of funny folk on their open-mic slot. 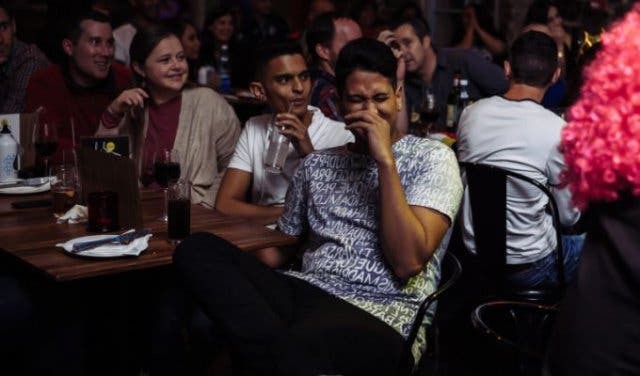 To enquire about an open-mic spot, call +27 (0)21 418 8880 or e-mail info@capetowncomedy.com. 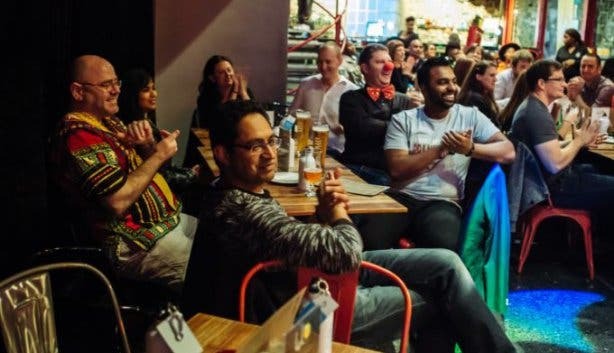 Cape Town Comedy Club has all the ingredients of a great night out: laid-back and laughter-filled. 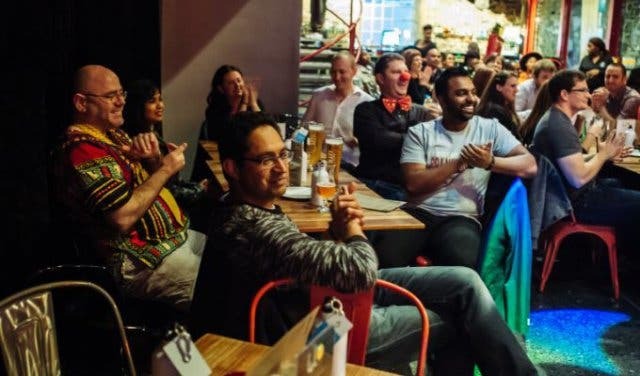 This dinner theatre is open from Wednesday to Sunday (7 days a week during the festive season), so bring your friends, your family, your Tinder date … and start your weekend early at this top-end comedy venue. 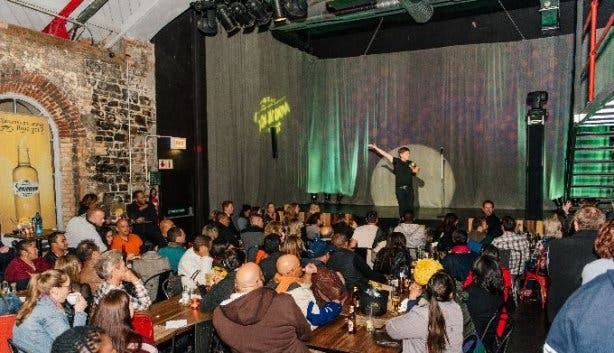 It’s not just fresh comedy that the venue, formerly Jou Ma Se Comedy Club, cooks up five days a week. The club’s kitchen serves up spins on classic comfort food. Feast on grills like Jou Ma Se Burger or a 250g sirloin steak served with fries. 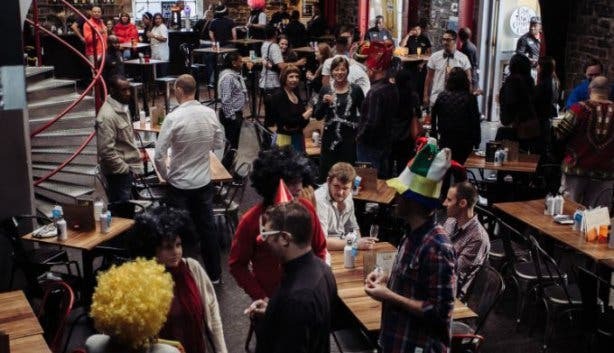 Maybe grab a Jou Ma Se Platter, which has everything from chicken wings to crumbed mushrooms. The food is mouthwatering, the comedy side-splitting, and the venue jaw-dropping, the latter because Cape Town Comedy Club calls the historic Pumphouse home. With soaring ceilings, original stone walls and cozy tables spread out around a generous stage, this industrial-chic space is also the perfect spot for a midweek date night. The Pumphouse, which dates back to 1892, is so named because it used to pump water from the Robinson Dry Dock in the V&A Waterfront. It is also the building where the first dynamo was installed to help illuminate Table Bay Harbour, 10 years before the rest of Cape Town. 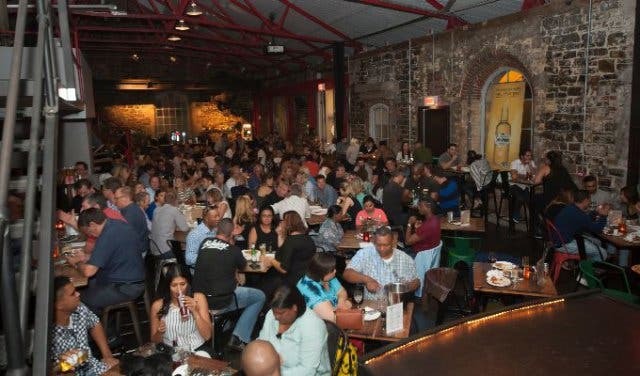 So what’s better than having an interesting night out in the historic building that oozes character. 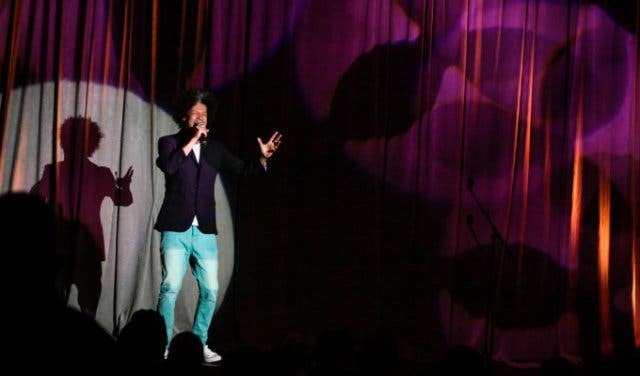 Show Times: Wednesday–Sunday, and seven days a week during the festive season. Doors open at 6pm, show starts at 8:30pm. 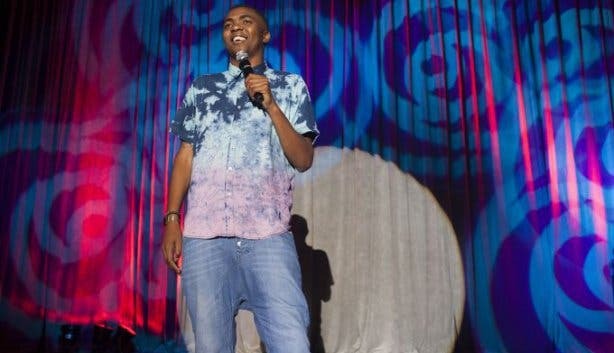 Tickets: Tickets cost between R95 and R120. Buy at the door, or get ahead of the queue via Computicket.com, as shows often sell out. 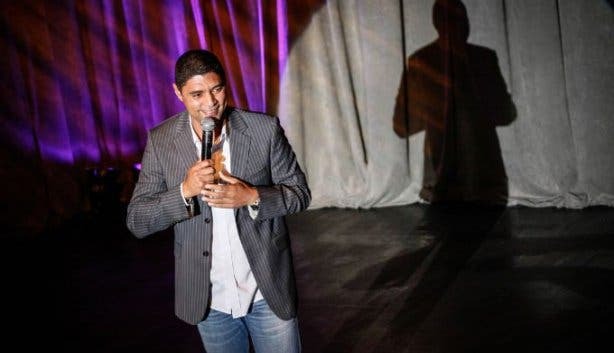 Check out the week’s line-up at CapeTownComedyClub.com. Bill: Starters from R45 and main dishes between R65 and R185. 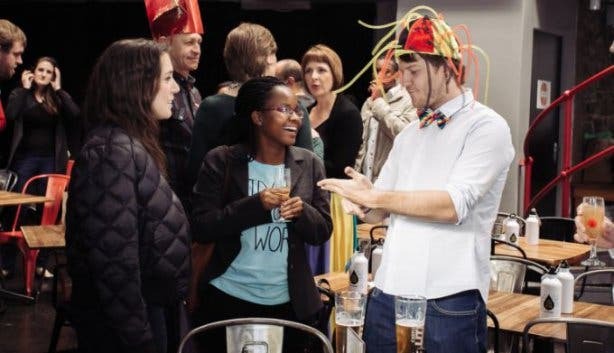 Cape Town Comedy Club also hold half-price Sundays, and you might want to check out their Silly Season Lunch Shows.